Brandon ‘Bug’ Hall was born on the 4th February 1985, in Forth Worth, Texas USA, and is an actor best known to the world as Alfalfa in the popular comedy film “The Little Rascals” (1994), and as Eddie Munster in the television film “The Munsters’ Scary Little Christmas” (1996), among other differing roles. Hall’s career started in the mid- ‘90s. 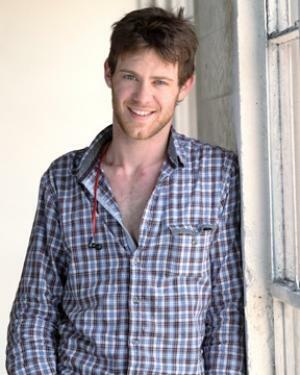 Have you ever wondered how rich Bug Hall is, as of early 2017? According to authoritative sources it has been estimated that Hall’s net worth is as high as $250,000, an amount earned through his career as an actor. Little is known about Bug’s background, except the story about his nickname; his mother worked in a day care center and would often bring young Brandon with her, and the other children would often bully him, so she made up a story that he was a “bug”, and they would smash him especially if they sat on him; his nickname followed him into the acting world. He made his debut in 1994 portraying Alfalfa in the film “The Little Rascals”, where he tried to woo Darla, played by Brittany Ashton Holmes. He continued with lead roles in such productions as “The Stupids” (1996), as Buster Stupid next to Tom Arnold and Jessica Lundy, “The Munsters’ Scary Little Christmas” (1996) starring Sam McMurray and Ann Magnuson, and “Honey We Shrunk Ourselves” (1997), all of which increased his net worth. He then lent his voice to Little Boy from “Hercules” the same year, and then in 1998 acted in the role of Brian Kelly in the TV series “Kelly Kelly”. Bug started the new millennium with a supporting role in the film “Skipped Parts” (2000), starring Mischa Barton, Drew Barrymore and Jennifer Jason Leigh, while in 2002 he starred next to Lindsay Lohan in “Get a Clue”. Since hise immediate success as a child actor, Bug just couldn’t catch a break in the grown-up world, and featured in secondary films and one time TV series appearances, in such productions as “The O.C.” (2006), “CSI: Miami” (2006), and in 2009 starred in the film “American Pie Presents: The Book of Love”, with Keven M. Horton and Brandon Hardesty. He then returned to small screens and appeared in such TV series as “Saving Grace” (2010), “Criminal Minds” (2011), “90210” (2011), and “Castle” (2014), among others. All contributed steadily, if unspectacularly, to his net worth. In 2015 Bug had the lead role in the film “Subterranea”, and in 2016 portrayed Arthur Davidson in Discovery channel’s biopic “Harley and the Davidsons”, increasing further his net worth. Most recently Bug portrayed Andrew in the thriller “The Shadow People”, which is yet to be released, and will appear in the film “The Long Run”. Regarding his personal life, Bug has been married to Pochia Stewart since 2012. 2 Has cut some music tracks recently (2004). He loves to sing, and looks forward to performing for a charity telethon in Iowa each year. 3 Moved away from his mother and has bought his own home near L.A.
4 Regarding how his nickname came about: His mother worked at a day care center, and she would bring him to work with her. She didn't want other kids to sit on him, so she made up a game that he was a "bug" and if they sat on him they would smash him. 5 Second oldest in family. The Little Rascals 1994 performer: "YOU ARE SO BEAUTIFUL TO ME", "THE AIR THAT I BREATHE"